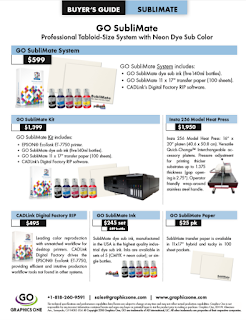 What are the steps needed to use a combination of the GO UNO LED Transfer Printer and GO's new MiniMax 16-inch Contour Cutter? We have the answer. Featured in our latest SnapGuide, all you have to do is follow the instructions step-by-step instructions at: http://goo.gl/33Bxi. Following the step-by-step pictorial makes it an easy process to both image and then cut the transfer piece and transfer properly. Although this pictorial is showing the GO UNO, the same process applies to using the OKI pro920WT or the OKI 711WT transfer printers. The MiniMax Contour Cutter lists for $995 with further information at Learn More MiniMax.